Executives from five of the companies that negotiate drug prices on behalf of insurers testified Tuesday before the Senate finance committee. 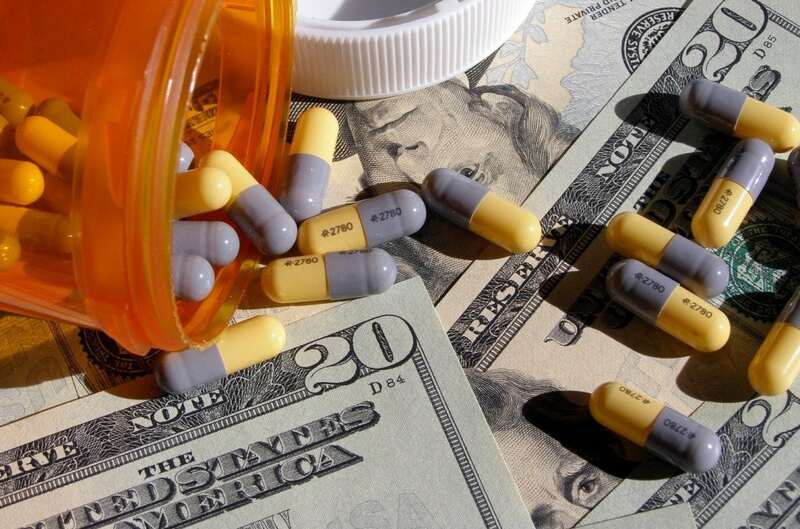 It was the latest in a series of hearings centered on the rising cost of prescription medication, which has captured attention on both sides of the political aisle and is likely to become a central issue in the 2020 election cycle. These companies, known as pharmacy benefit managers (PBMs), negotiate prices with drug companies, using access as leverage. PBMs control which drugs are included or excluded from an insurer’s roster. Their secret negotiations often lead to rebates and discounts that bring a drug’s cost below a its publicly listed price. But those savings aren’t always passed on to consumers, and it’s hard to tell who gets what. With more drugs potentially falling under new payment models, pricing structures will only grow more complicated. In a rare sign of Washington bipartisanship, senators criticized PBMs for their opaque practices. “They guard their operations with more secrecy than HBO guards the ending of ‘Game of Thrones,’” ranking Sen. Ron Wyden (D-OR) said, referring to the popular television series. When pharmaceutical industry executives appeared before the same committee in February, they pinned much of the blame for high drug prices on PBMs. The PBM executives today used their time to try to shift blame back onto drug makers. The problem, PBM executives said, is that there’s not enough competition. John Prince, CEO of Minnesota-based OptumRx, said that if a lower-cost drug is available, his company will make that the preferred drug on its list of covered drugs, known as a formulary. But Prince accused pharmaceutical companies of practices that limit competition, such as “pay for delay” tactics in which the maker of a brand-name drug pays a generics maker to delay the launch of its less expensive product. Derica Rice, executive vice president of CVS Health and president of CVS Caremark, said that the FDA must do more to make more generics available. Drug makers need incentives to make more generic drugs, he said. Steve Miller, executive vice president and chief clinical officer of Cigna, said shortening the period of a drug’s exclusivity could help bring to market more biosimilars—copies of biological drugs. Sen. Steve Daines (R-MT) accused PBMs of fighting legislation that would increase the transparency in drug price negotiations. As an example of a practice he opposes, Daines cited OptumRx correspondence that asked a drug company to give nearly two years’ advance notice before changing a drug’s list price. Montanans can’t afford to pay higher prices for two years to keep PBMs and Wall Street happy, Daines said. Prince said that rebates are passed on to the plans, which pass them on to their members. He said that the nearly two-years notice was technical language in a legal contract. Changes submitted to the contract take effect the following year, he said. PBM executives agreed that transparency was good, up to a point. Rice, of CVS Caremark, said disclosing too much proprietary information could hamper his company’s ability to negotiate with drug manufacturers. Cigna’s Miller said that pricing comes down to tradeoffs. The VA has a more limited formulary than the PBMs, enabling the agency to get lower prices. But patients and physicians want more choices and broader formularies, he said. Oversight of PBMs falls under the Federal Trade Commission. Sen. Maggie Hassan (D-NH) said she would join finance committee chairman Sen. Chuck Grassley (R-IA) in asking the FTC to look further into PBM practices. She asked the PBM executives whether they would cooperate with the agency. All the executives said yes.